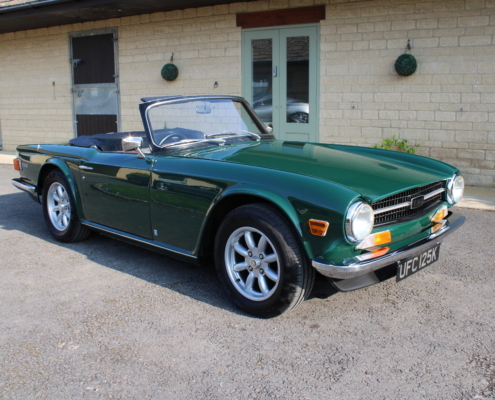 Ending a terrific line of models the TR6 finished production in 1976 and all subsequent models like the TR7 had unfortunately lost the Sixties feel and looks of the original TR range. 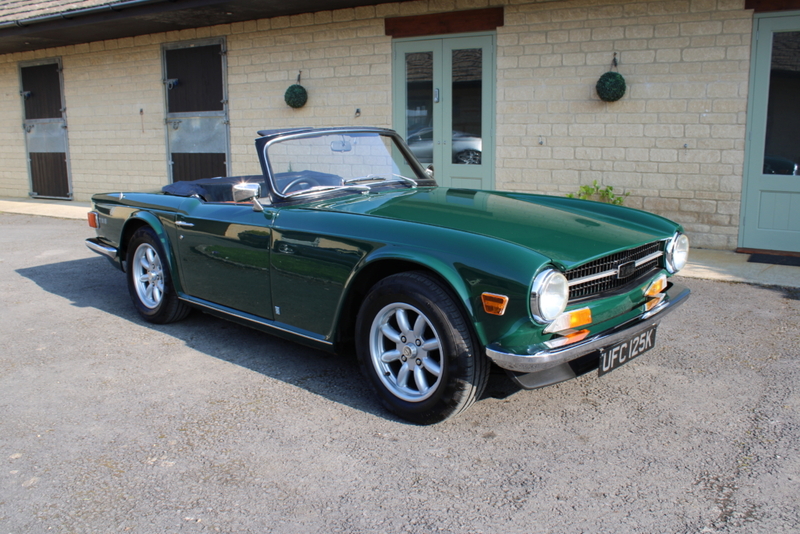 So the TR6 was the end of an era of iconic cars. 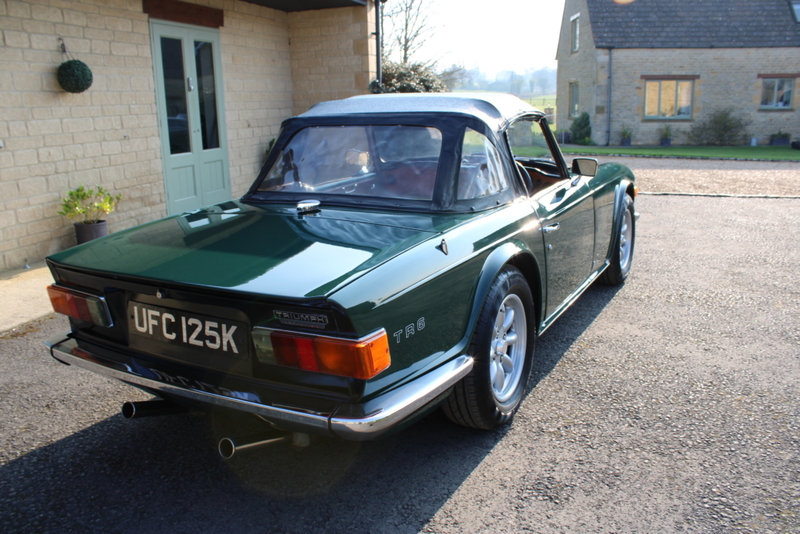 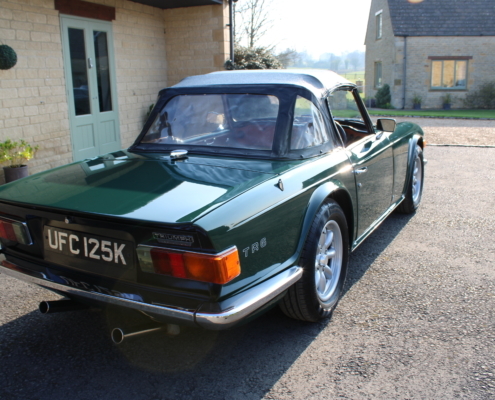 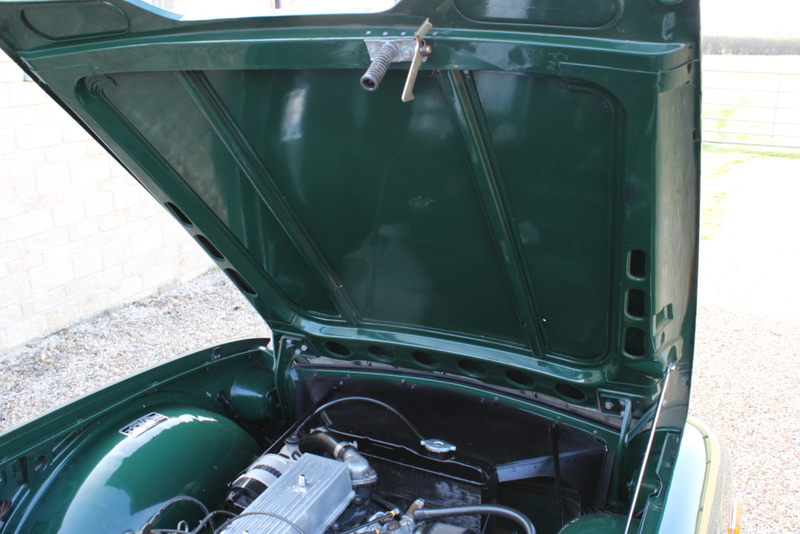 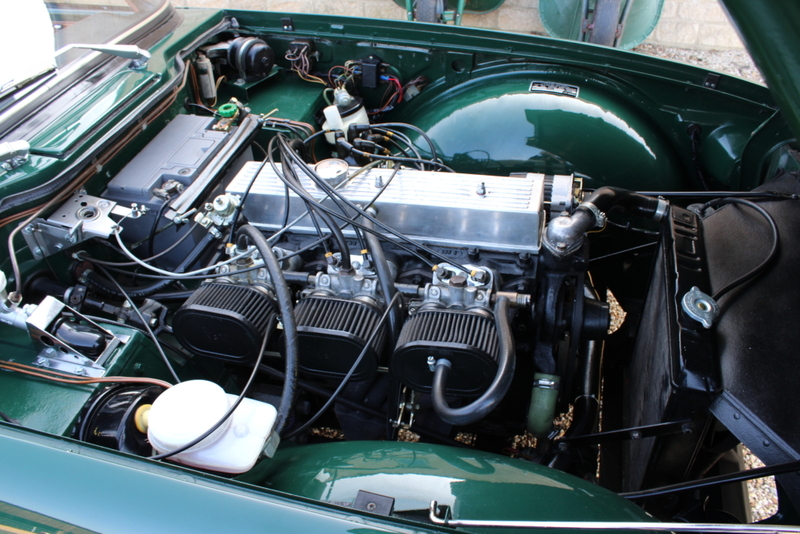 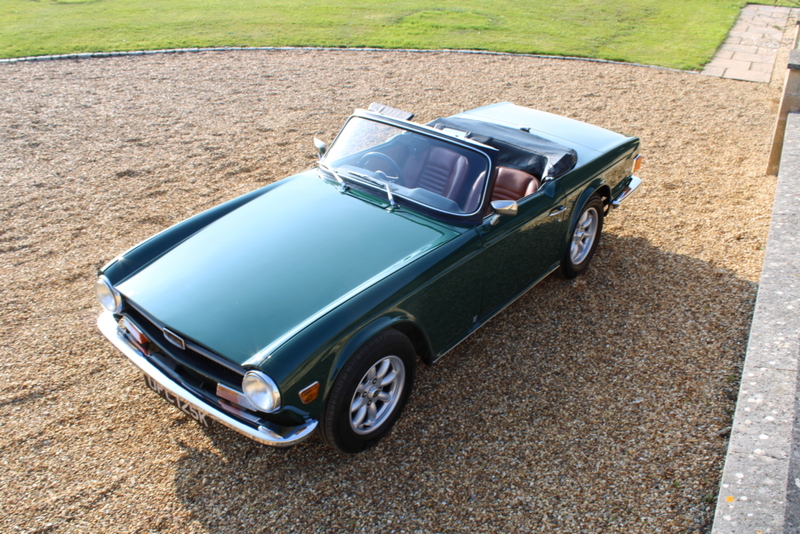 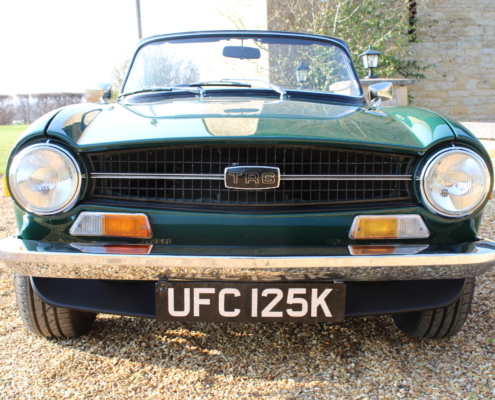 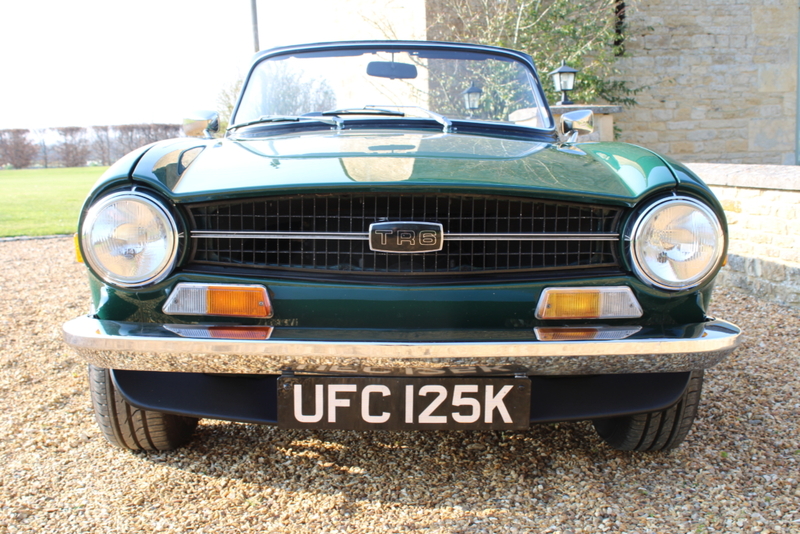 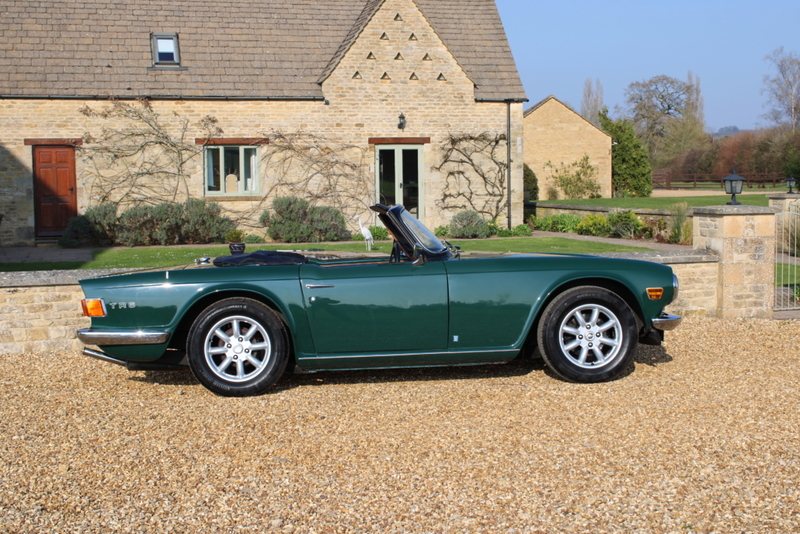 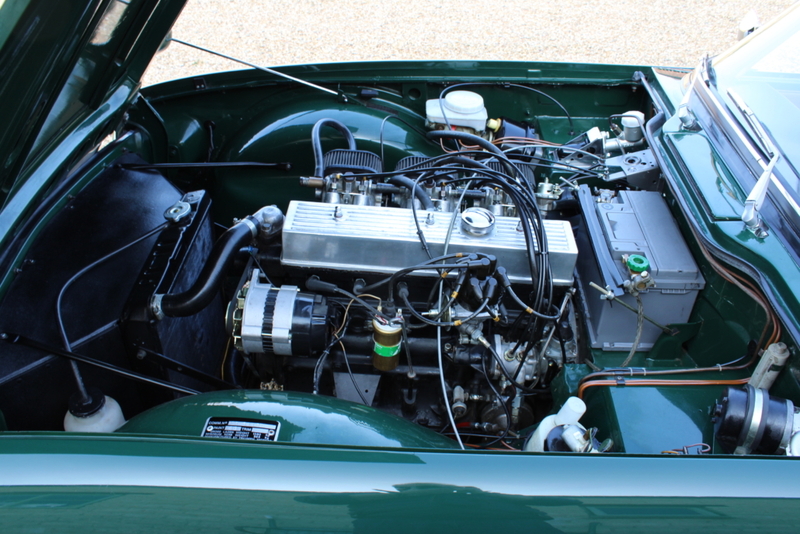 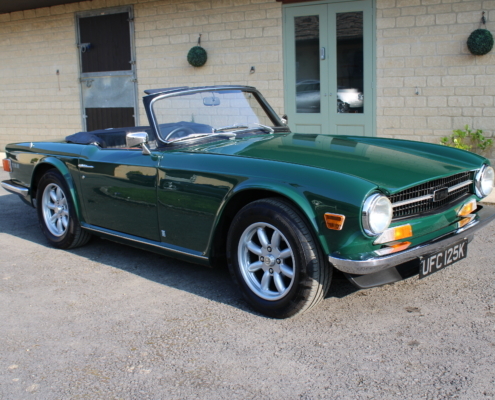 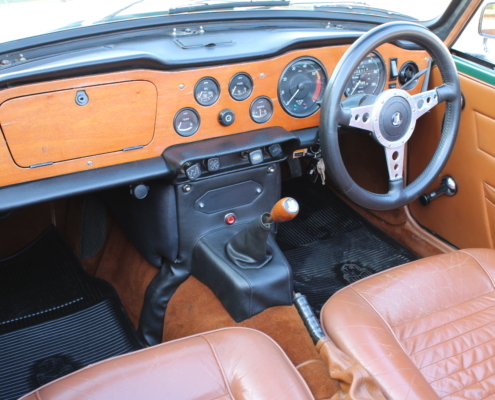 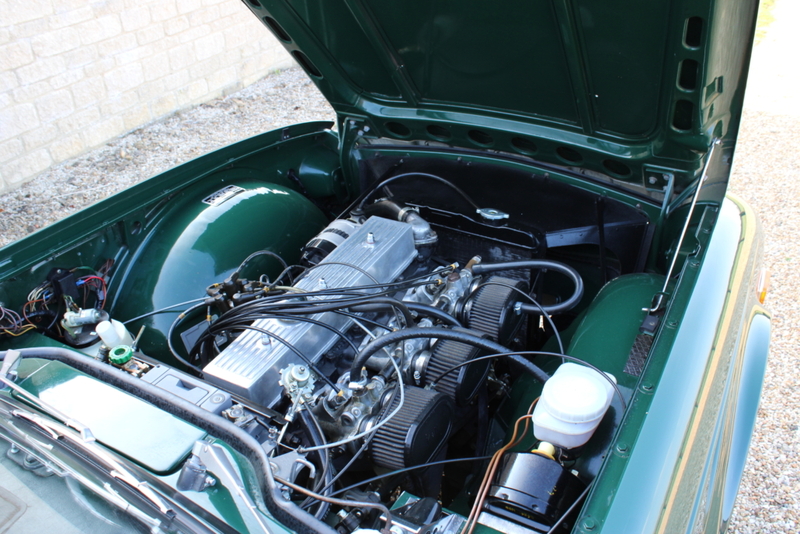 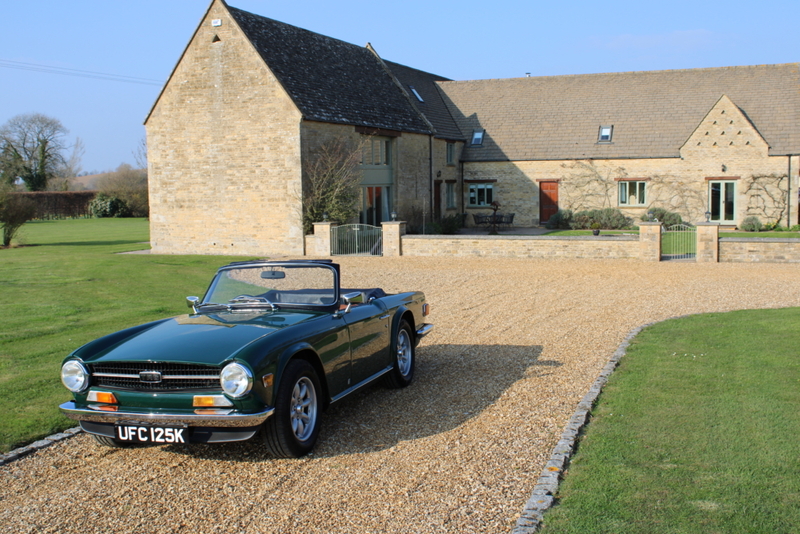 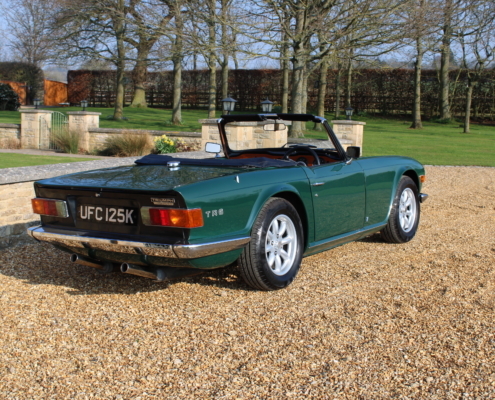 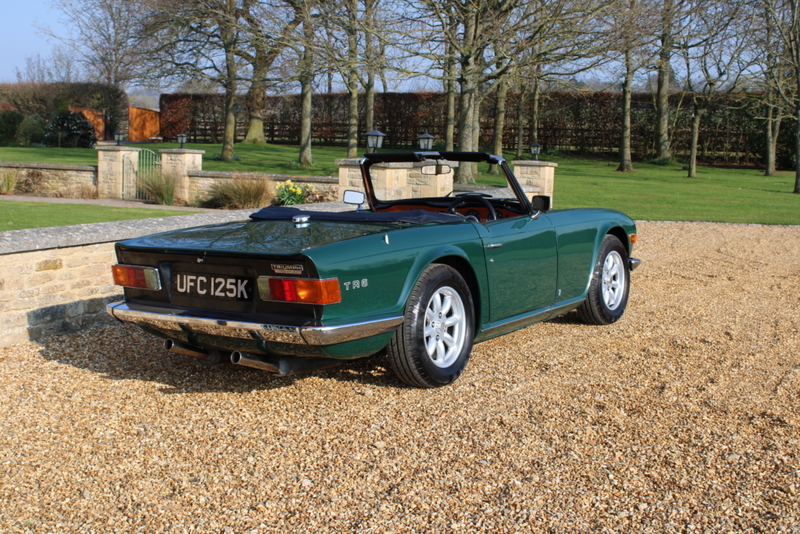 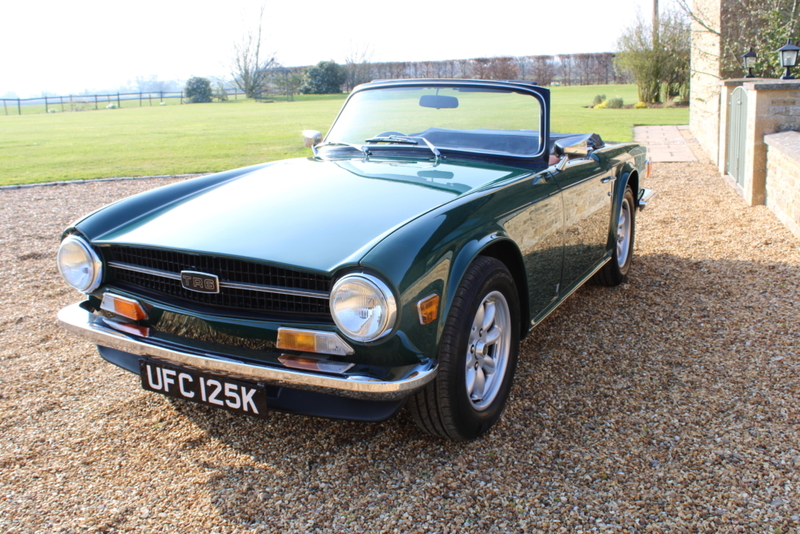 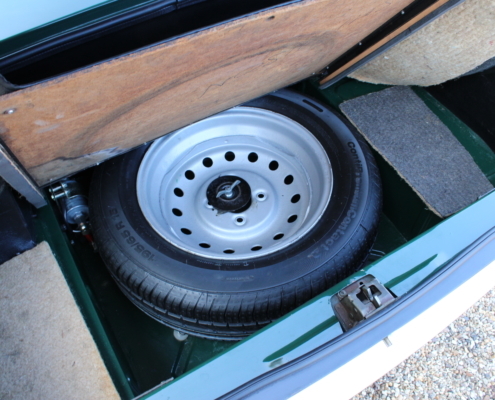 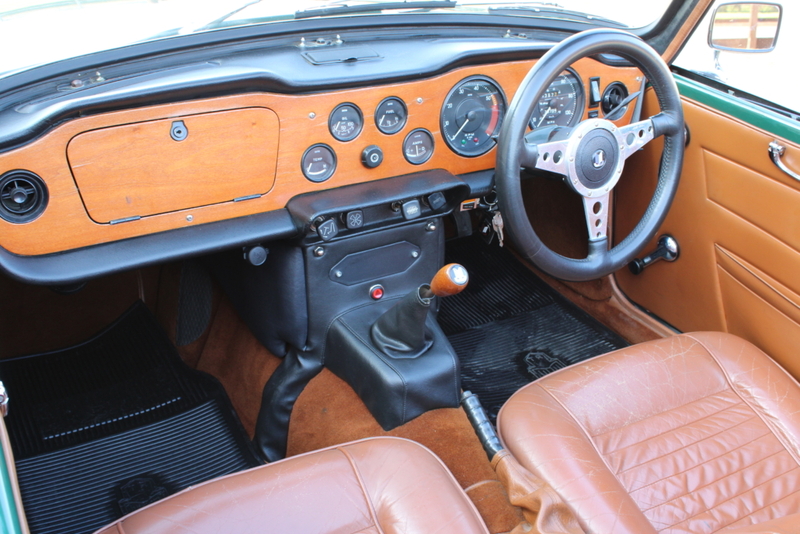 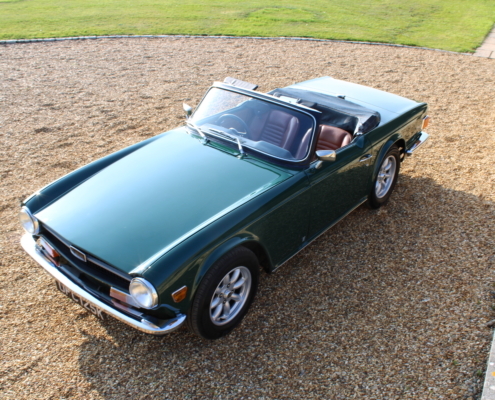 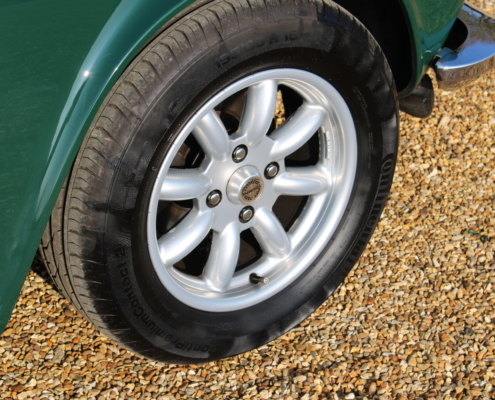 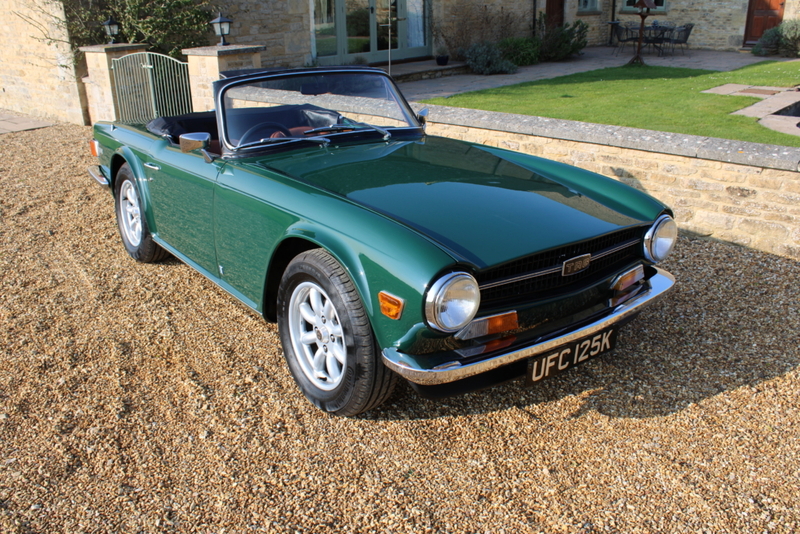 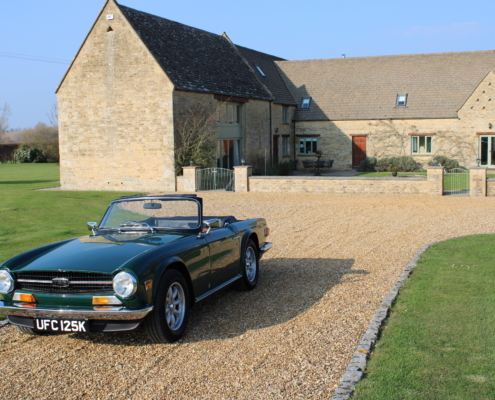 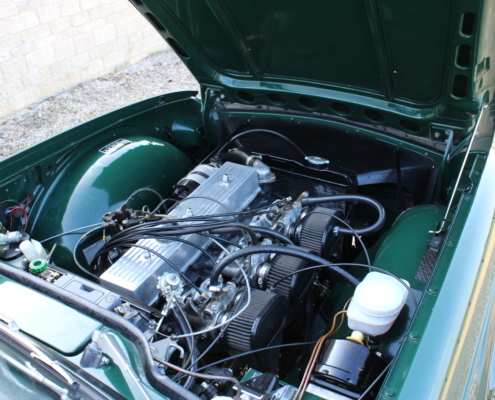 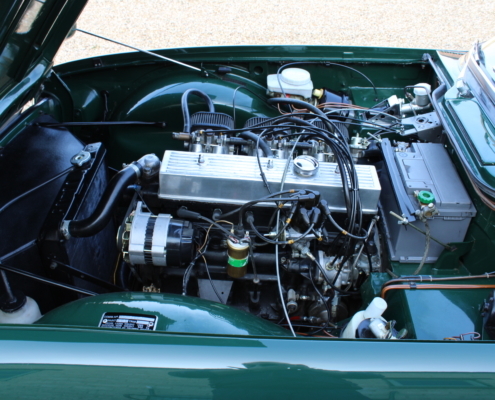 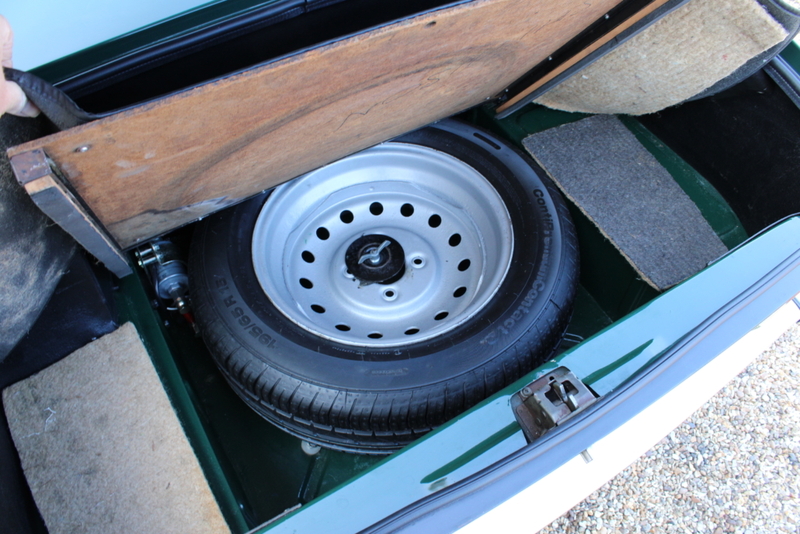 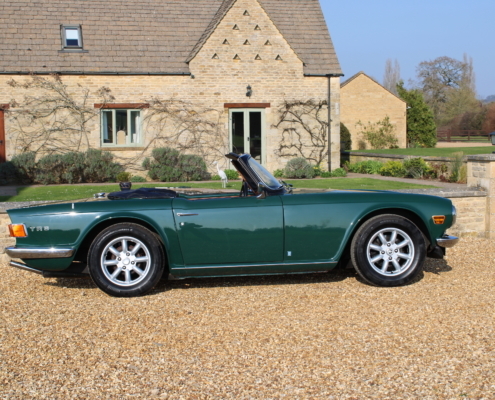 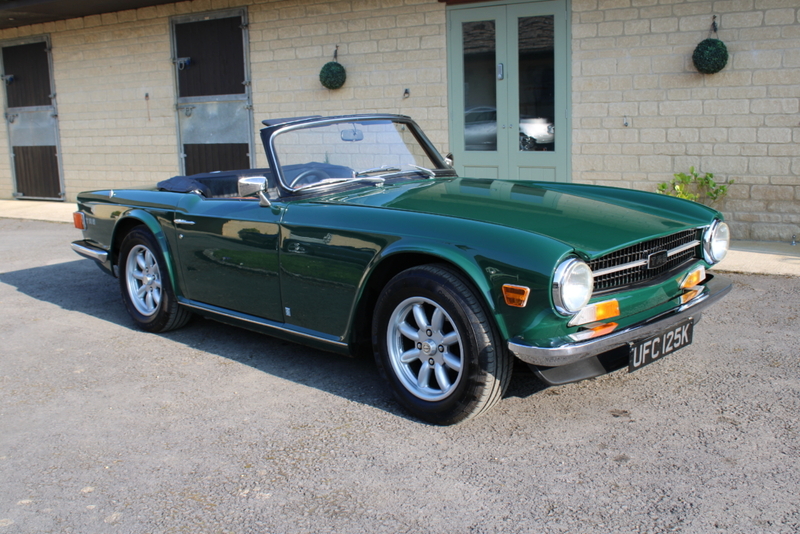 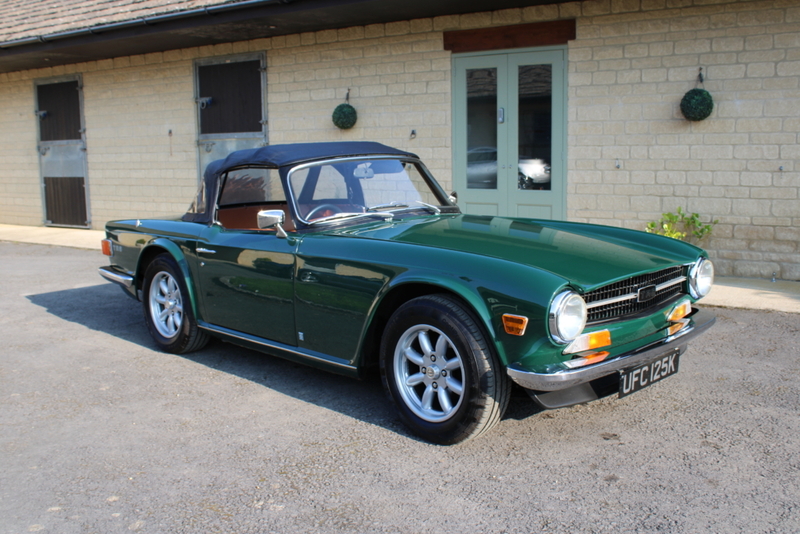 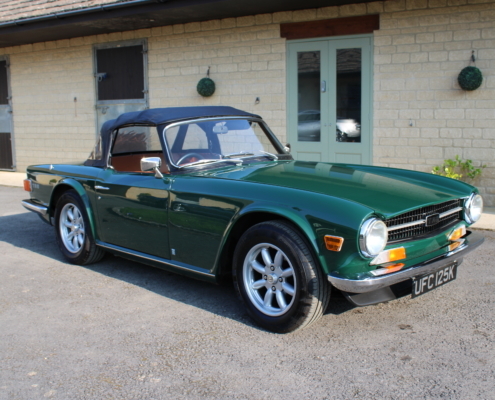 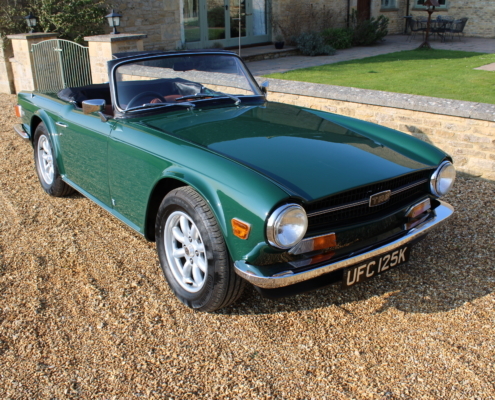 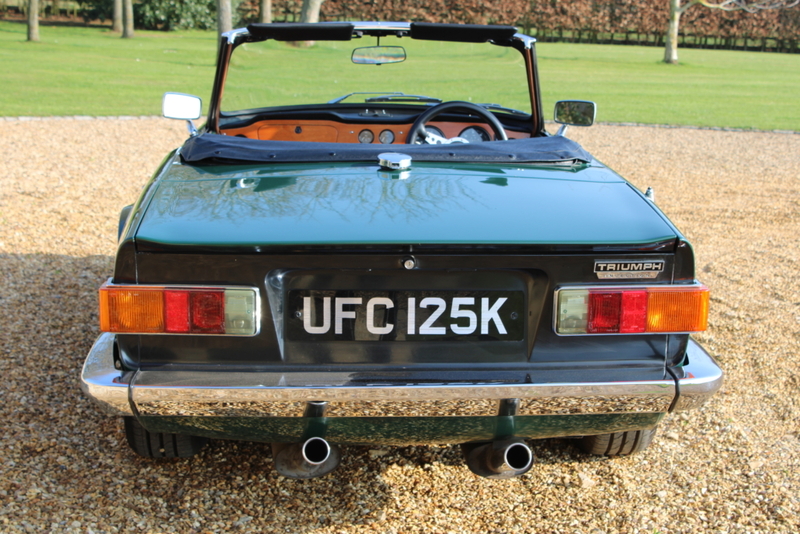 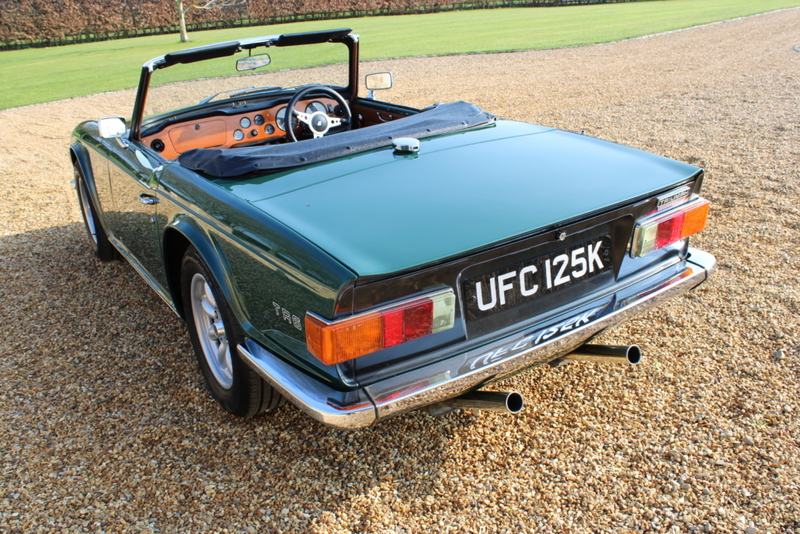 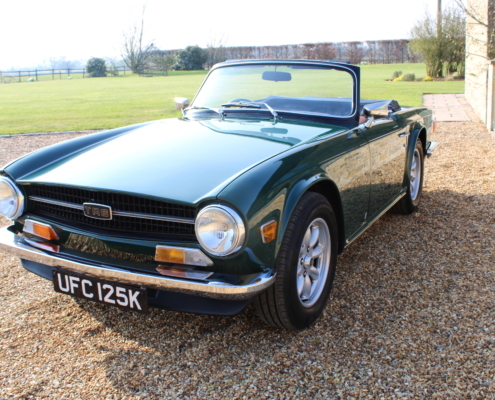 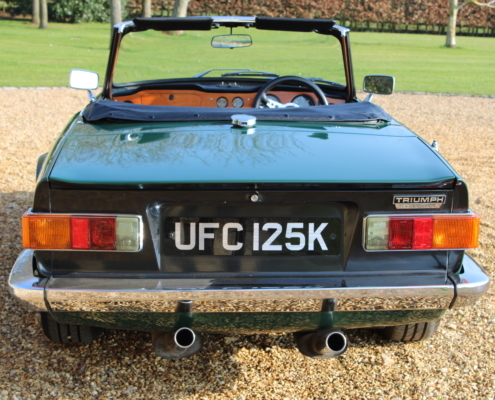 This example was produced in 1971 and is the revered 150bhp version with the Heritage certificate confirming it is an original Uk supplied rhd Laurel green with overdrive car. 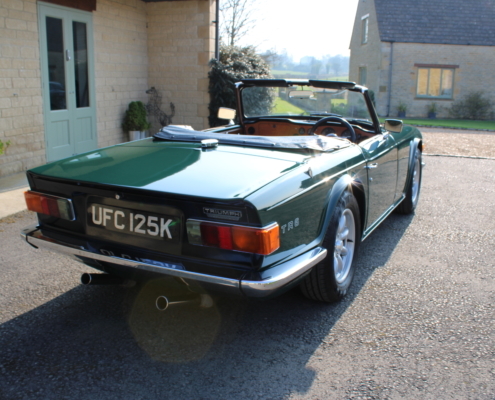 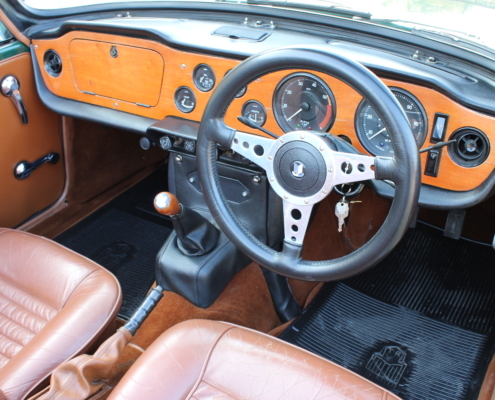 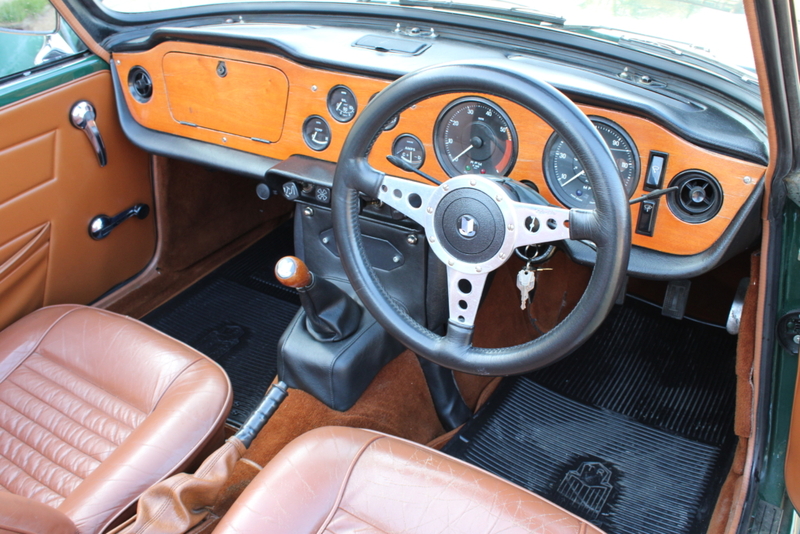 Restored in 1991 by a renowned Triumph restorer she still presents really well and has had ongoing maintenance over the years protecting this high level of workmanship. 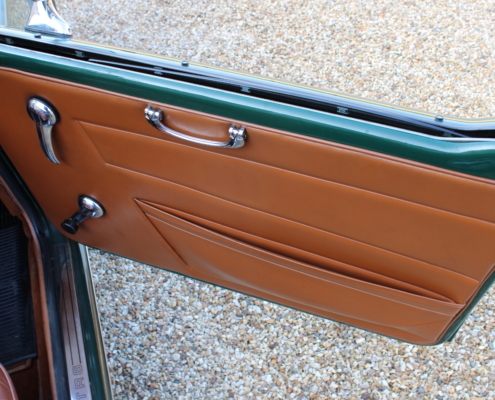 The panel fit, detailing is really good and one of the nicest available. 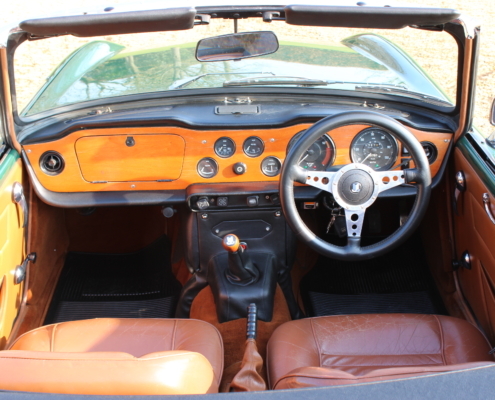 This is a mighty performer with the slick overdrive gearbox meaning you can cruise at high speeds without stress. 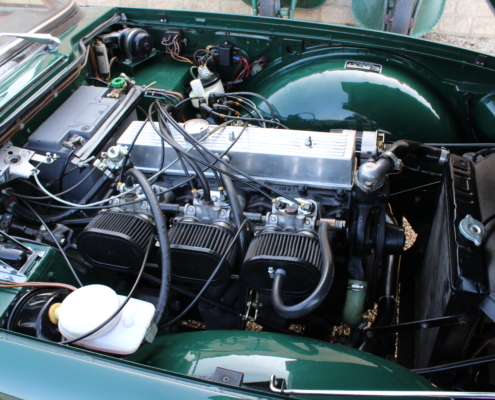 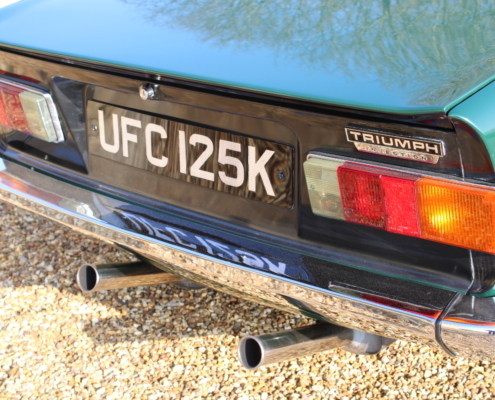 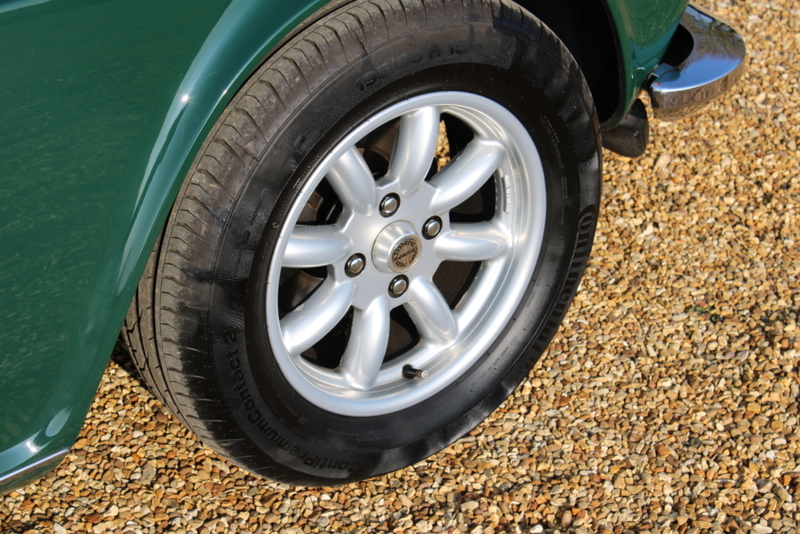 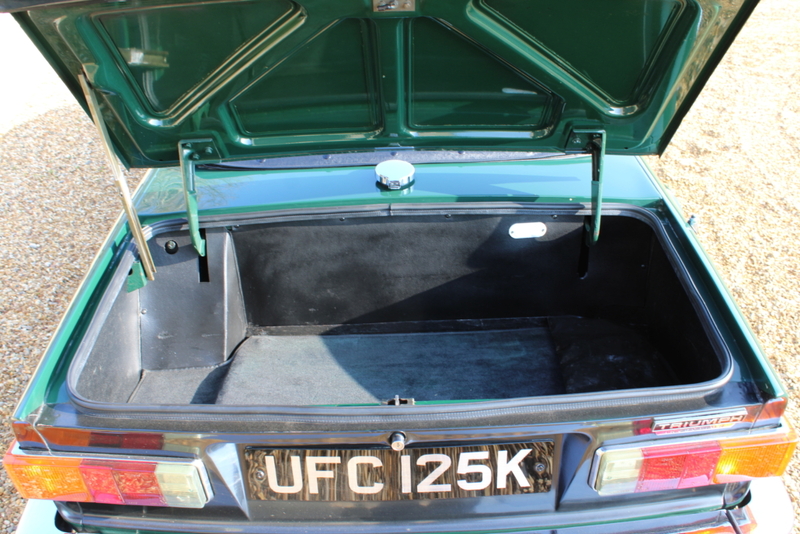 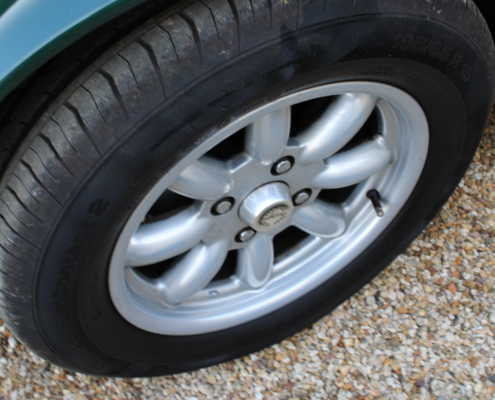 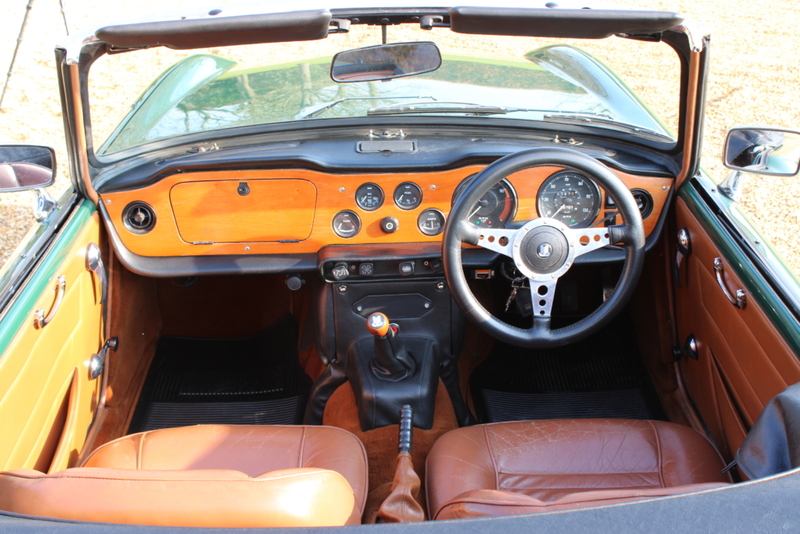 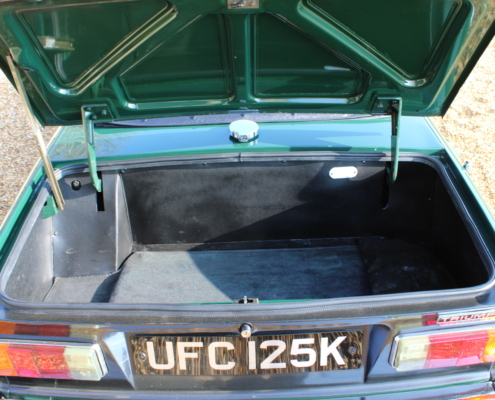 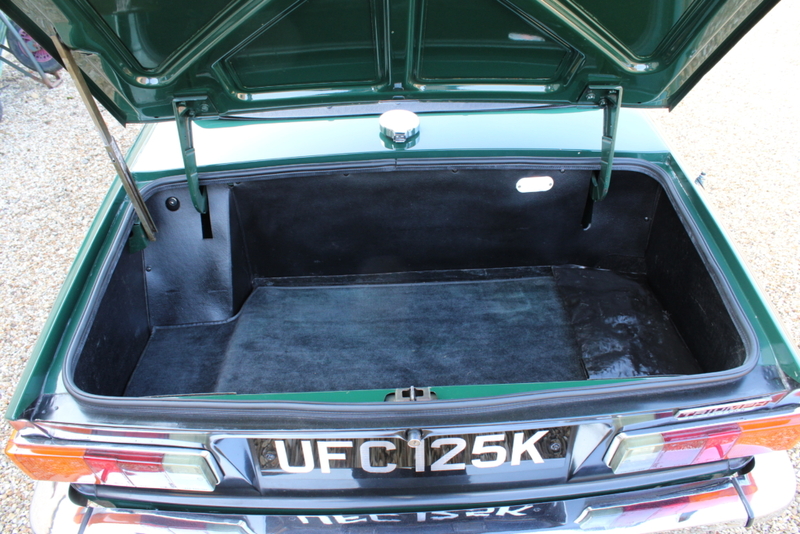 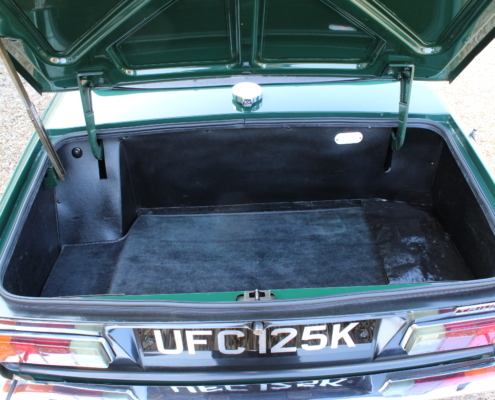 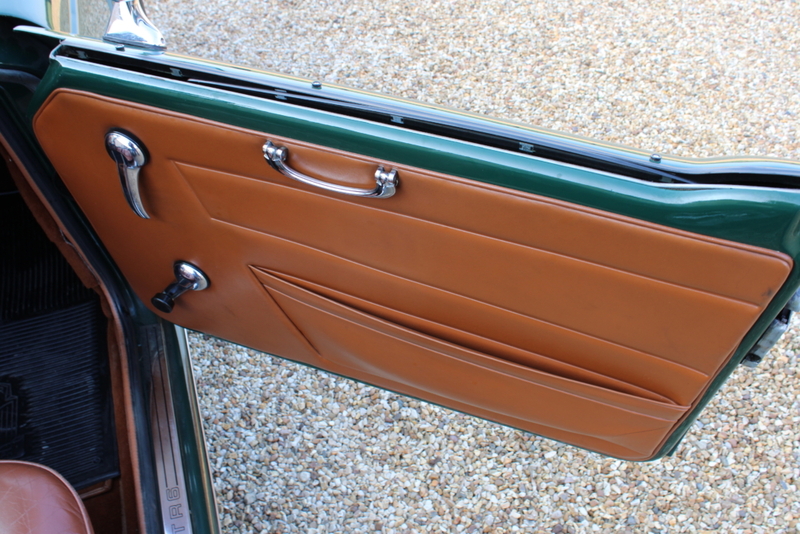 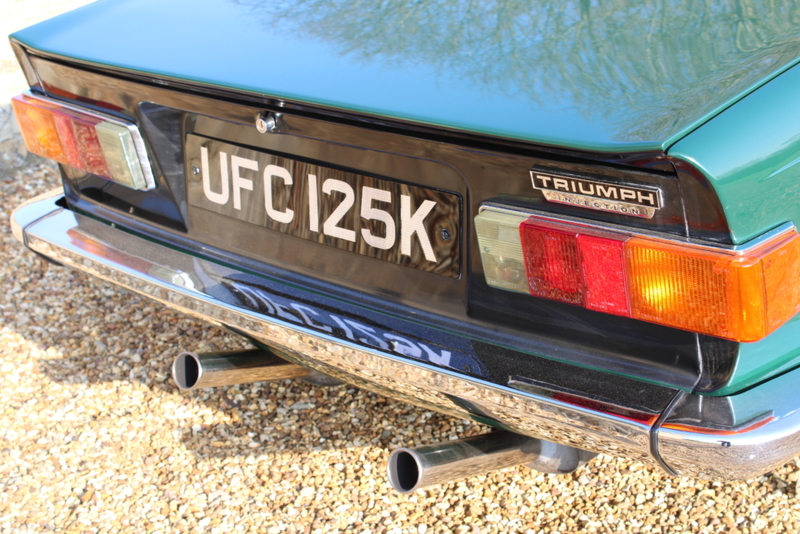 There is a history file accompanying the car including a photographic record of the restoration, mot’s and invoices. 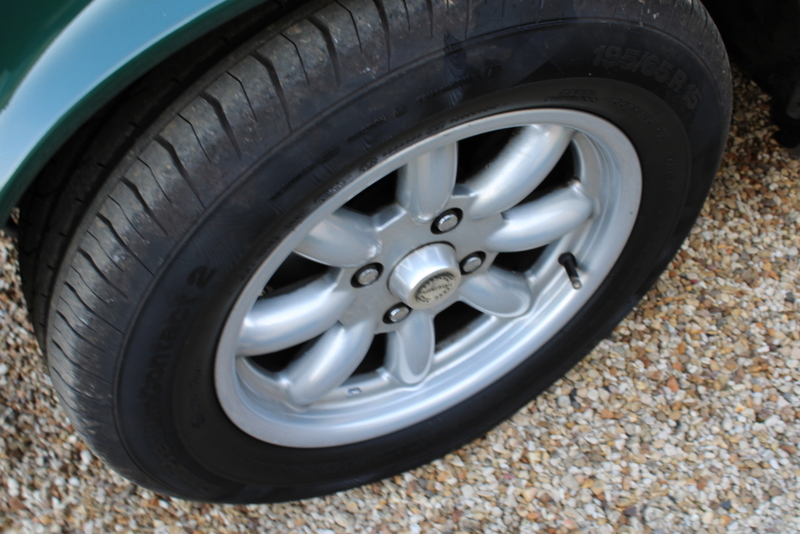 Supplied fully inspected, serviced with 12 months warranty.